Russian,Criminal,Tattoo,GULAG,USSR,Prison,Russia,BMW,Criminal,Mafia,Vor V Zakone Blog about Russian Criminal Tattoo,Russian mafia, Russian Criminal Tattoo Photos,Meanings of tattoo,Vor v zakone,Stars,Criminal,Mafia,Eastern Promises Russian criminal tattoo: Iosif Ordzhonikidze not dead! 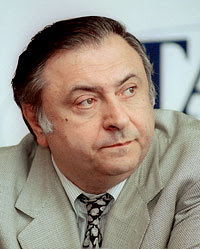 In the years of 2000 and 2002 Iosif Ordzhonikidze who was the deputy mayor of Moscow, survived two attempted murders. 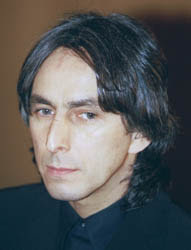 But that's not all, according to some data it was in an attempt to murder city participated Deputy Umar Dzhabrailov. 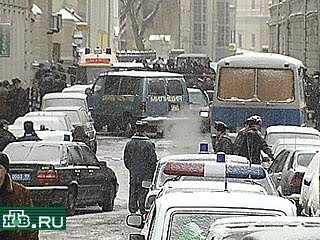 Umar was the same Chechen businessman who co-owned the Radisson Hotel SAS Slavyanskaya, along with American Paul Tatum. 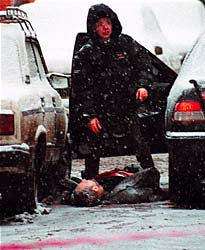 December 19, 2000 was in the center of Moscow. 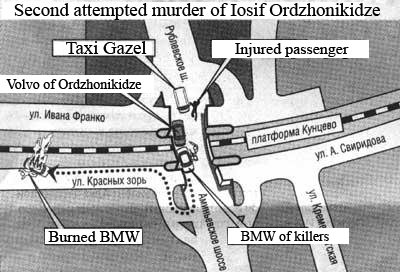 Kalashnikov automatic rifles were fired at the Nissan car owned by Iosif Ordzhonikidze. Driver Ivan Petrin was killed, and passenger Iosif was injured. 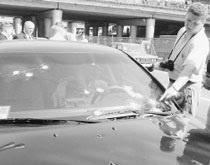 The killers dropped their guns, and perforated the car. 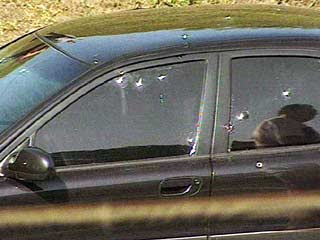 Found in the car were more than 30 bullet holes, most at the windshield and a few bullets stuck in the back door. A minute later the passenger, staggered out of the Nissan and wandered down to the nearest store. These were the "Products in Leontiefskiy". - Im wounded and the driver was killed. Girls, call the ambulance! 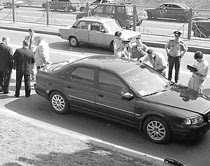 June 20, 2002 on the Rublevskoe highway, Ordzhonikidze's Volvo was stopped by a BMW-525 with false militia plates. 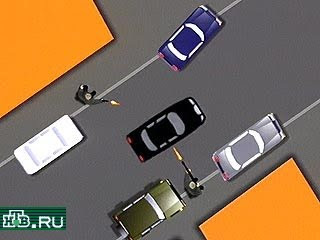 From the BMW ran out three masked men and opened fire on the Volvo. From the Volvo the bodyguard ran out and returned fire. 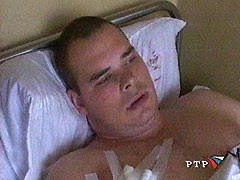 Resulting in one of the attackers being wounded. 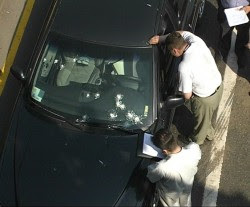 The bodyguard and a passenger of taxi Gazel were also wounded. And because the Volvo was armored Ordzhonikidze was not injured. 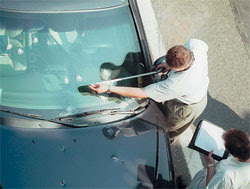 After the shooting, the wounded killers loaded into the car and fled the scene. 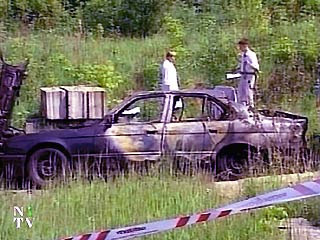 Later close to where the shooting took place, the burned BMW with guns and corpse of a wounded holdup were found. It was Salavat Dzhabrailov, brother of Umar Dzhabrailov. In the second video it s an interview of Ordzhonikidze's bodyguard. They say that all the attacks may be associated with the construction of a Road for Formula - 1 in Moscow y Moscow International Business Center Moscow - City who were in charge of Ordzhonikidze. And here a video interview with Umar Dzhabrailov. 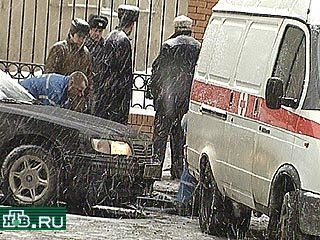 He said that the attempted murder on Ordzhonikidze is staged. Someone killed his brother and threw the body of the crime scene so everyone would think he ordered killing. As it turned out in the attempted murder on Joseph Ordzhonikidze not only Salavat the brother of Umar Dzhabrailov, but also his cousin Alikhan were involved. He was declared an international arrest warrant and later found in Poland as a refugee under the assumed name Boris. Polish police found and detained Alihan. For reference you can listen to a telephone interview with Umar Dzhabrailov about the attack on Joseph Ordzhonikidze where he says he has no brother with name of Alihan, only Salavat.